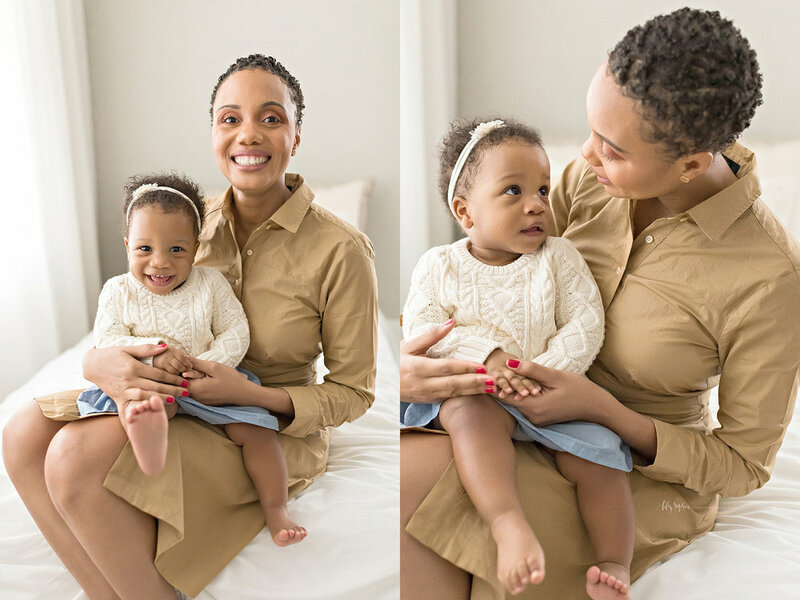 ‘Toya contacted me to schedule a First Birthday session for her daughter, Troi. 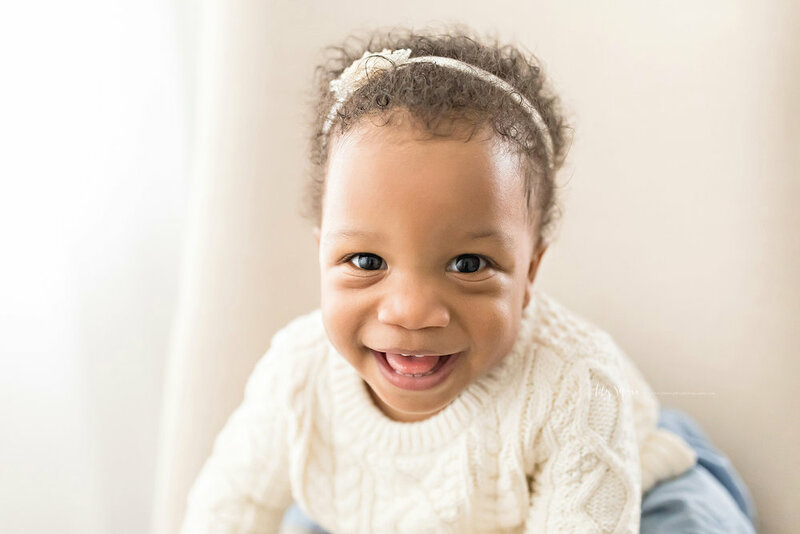 I had first worked with her for Troi’s newborn session, and was so excited to see them again! 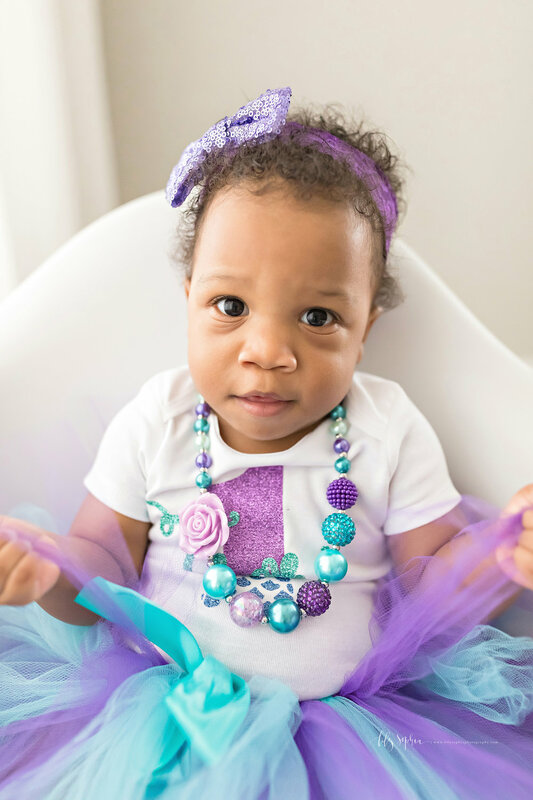 Troi was a tiny preemie born at 26 weeks, but proved to be a mighty fighter who is a happy and healthy one year old today. You can read more details and see images on her newborn blog post by clicking here. ‘Toya brought a simple buttercream frosted cake with colorful pastel sprinkles. If you choose to include a cake (nope, it’s not required!) we have a list of great options for you in the Atlanta area if you want to outsource that part. Our baker is such a talented person and can accommodate many food allergies as well as create vegan cakes for those who may desire or need that as an option. She’ll drop the cake off at the studio in advance of your session so it’s one less thing you have to worry about the day of. Using her services is not required as your local grocery store can also make a gorgeous cake for your baby! Regardless of where the cake comes from, we will walk you though best practices for icing type, cake flavor, texture, and colors, if you choose to incorporate a cake into your baby’s session! The main goal is to keep the focus on your baby so the cake isn’t competing with them for attention when viewing the image. I was SO excited to see Troi again! At first she was a little bit shy but that quickly dissipated with a game of peek a boo. First Birthday sessions double as a family session too! After we finished with Troi’s solo images, we moved into the family and parent portion of our session. By this time, most one year olds are ready to call it a day. Their attention spans aren’t very long! It’s for this reason that we save the cake for last! ‘Toya had bought a fun little outfit for the cake smash portion, so after an outfit change we moved into that. If your baby is fussy and getting tired, 9 times out of 10 their cake is the perfect distraction and pick me up. As you can see from the images, Troi was a fan of her cake and enjoyed the first taste of sugar she’d ever been permitted. Enjoy some of the images from this cutie’s session! 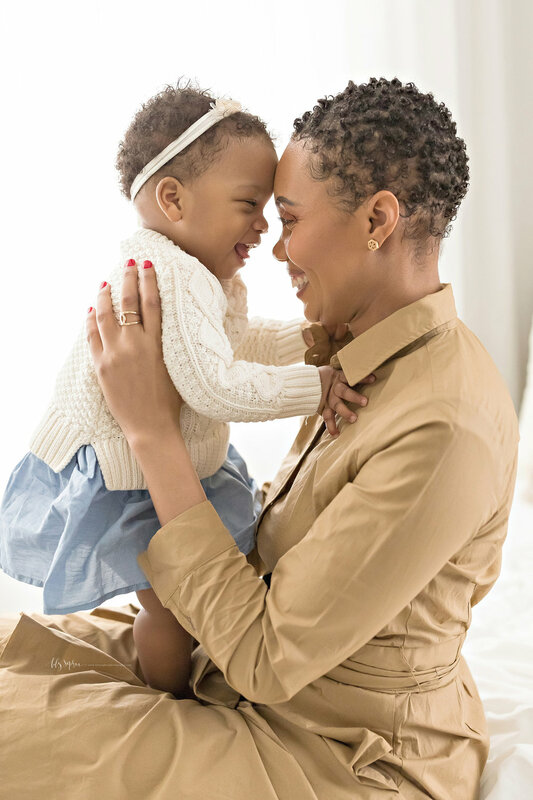 If you're getting ready to celebrate your baby’s First Birthday (congrats on almost a WHOLE year of parenting!!! ), I would love to work with you to create images that you will love for a lifetime. Watch this video to hear about my philosophy and see how I work in the studio so you can determine if I'm the right fit for you. I can't wait to meet you!